Aspiring novelist Amelia Mercer travels from New York City to Colorado to help her injured aunt recover. When the stage is robbed and her luggage stolen, bounty hunter Ned Waymire comes to her aid, acquainted with the harmless culprit and wanting to spare the boy. But Ned also seeks to impress the independent young woman. Amelia's wish to never marry, however, clashes with Ned's desire to keep her reputation intact. 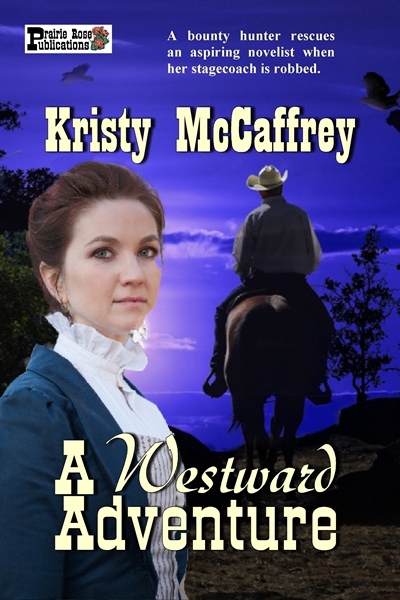 When a final bounty from Ned's past threatens their future, she knows that A Westward Adventure isn’t just the title of her novel, but the new course of her life.